A series of artists impressions created by Charles Roberts Studios for a luxury new development currently underway in Woolacombe Bay on the coast of North Devon. Working from architects drawings our studio created these artists impressions to help potential purchasers visualise the completed project. 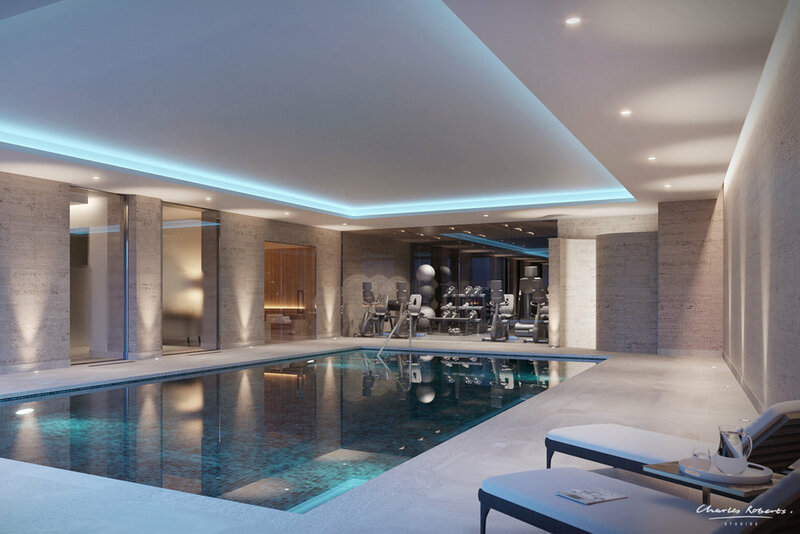 The new development features a luxurious pool and spa that we also visualised.